I mentioned in my "Thankful" post that I have two big, beautiful jasmine trees, one of which was about to flower. Natal has these trees in giant form all over the city, and they flower all year long. If you have never smelled a jasmine flower you are seriously missing out. I never in my life saw a plant and thought "I have to have that," not until I saw/smelled jasmine, that is. Each day new buds have bloomed and I just love it so much I wanted to share my cheer with you! I'm no photographer, but I hope you can enjoy the pictures as much as I do! Two years ago when I went to the Continent Connection Conference put on by Continent of Great Cities, I had such an uplifting, encouraging, refreshing week that I immediately began planning and saving for the next conference in 2010. At that point I didn't even know if I would still be in Brazil in 2010, but just in case, I made plans. It was that good. When the much-anticipated date of October 4th rolled around (one day after the elections I blogged about,) I was giddy with excitement to return to the beautiful beach town of Maresias and enjoy a week of worship, sharing, resting, and reconnecting with other missionary women from South America. 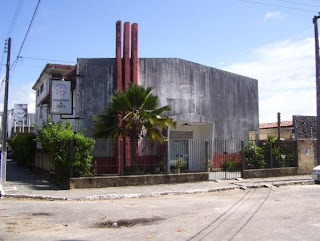 I reconnected with many old friends from the days when my family lived in Brasilia, some friends I made at the conference in 2008, some friends I had never met but had corresponded with through this blog, and was blessed to make many new friends. There were about 40 missionary participants and (I think) about 15 women who came from the US to spend time with us as small group facilitators, speakers, organizers, gift-givers, counselors, and friends. On a personal level, I can say I returned to Natal a different person. Not only rested, but also confident that God used that week at CCC to show me many areas of my life where I was needing to make some changes, as well as showing me areas where I can be confident I am following His will. I came back to Natal determined to make these changes and live confidently, and in the weeks since the conference I have been blessed by the results. In a week so centered on gratitude, I am reminded of how grateful I am to have had the opportunity to go to CCC for a second time. God blessed me with a great week of companionship and learning. I was blessed by the extreme generosity of the women who came to serve us for five whole days, and was blessed by the lessons they had to teach us and the way God used them in such perfect ways that we know only He could have orchestrated it. I am grateful for the generosity of the donors who made CCC financially possible-- because of them, all we had to do was get ourselves to Sao Paulo and the rest was taken care of. It was an unforgettable week. The beautiful food table on our final night. If you look closely, you can see that "Continent Care Connection" is carved into the watermelon. Before I resume my blog blitz on the aforementioned activities of the past few months, I feel it is necessary to stop on this day and tell you all (or most) the things for which I am thankful. Although it is not Thanksgiving in Brazil, it is Thanksgiving in my heart. So here are just a few things that make my heart cheerful today. the fact that I have motivation to work out daily at the gym...I mean seriously...who ever would have guessed THAT day would come? my two big, beautiful jasmine trees. One is about to flower and I just can't wait! my new purple-handled flatware. It was on sale, totally clashes with my home decor, but it makes me laugh nonetheless! the Skype webcam chat I am about to have with my parents and extended family in Arkansas. It will be my grandpa's first time to Skype. Should be fun! 1. It was brought to my attention that my third post in my recent blog blitz was out of order and dated as November 7. I figured out it was because I had written it early and published it later, so it was published on the original date. Make sure to check it out, it's about my friend's visit to Natal! 2. My friend Brent, who is a Peace Corps volunteer in Armenia, has done it again. He wrote a very poignant post on the role loneliness plays when you are living overseas, away from your home culture. He also beautifully explains how that place that, at first seemed so lonely, suddenly turns into home. If you would like to read it, click here. As fun as it is getting an average of 2 hours of sleep more each night in those weeks following the end of the LST season, the most fun part is most definitely getting to continue in the studies with the LST readers. Unfortunately, going from a team of workers with 5 members to my team which includes exactly 1 worker (me), not all of the readers can continue. I ask the opinion of the LST teams on who they think has the interest to continue, and who seemed the most open to talking and learning about the Bible. This year I put a list together of about 25 readers. Most of them were put into group classes, and because of scheduling conflicts, two were put into individual reading sessions. The group classes have been using The Sycamore Series, a series of Bible studies published by Let's Start Talking. Since the intended audience of the series is native English speakers, the studies go deeper and use longer texts than the regular LST material aimed at those who are learning English. Since most of my students are very advanced English speakers, it has been an absolutely perfect fit. They have loved the texts, the new vocabulary, and the questions that really make them think. We have had great conversations about trust, baptism, Jesus' crucifixion, and what it means to live in a way that reflects we know those stories. Not only do I love watching my students discover these stories and make real-life applications, it has also been encouraging to me to read these stories I've known for so long through fresh eyes. I am thankful for the way the Holy Spirit has moved in these studies and taught us all more about God's word. As always, I pray that they will gradually begin to care less and less about the English and more and more about God's message. Since moving to Natal, I have invited so many friends to come visit me that I never even started counting. I invite everyone, hoping that one day someone might say "Hey...that sounds like a good idea!" and actually come. Never did I actually imagine that it would happen. Natal is hard to get to-- so hard that I assumed only the love of a family member would be enough to make someone actually make the trip. I have been blessed to host my parents here twice in the last three years and my sister and brother-in-law once. I was a pretty happy camper. Enter: July. My friend Lezlie, whom I went to high school with, puts up a Facebook status saying she has some money, has some time before the semester starts, and would like to take an international trip. Did anyone have any suggestions? I, of course, jumped at the chance and was first to comment with "come to Natal!" Imagine my shock when she wrote back and basically said "Really? Ok." I never thought that would happen! Mere weeks later I was picking up Lezlie and her friend, Jason, from the Natal airport for a week of Brazilian fun. The timing was perfect. I had just finished up the LST season and was in desperate need of some down time. What better way to spend down time than showing off my beautiful city to my friend? The week she was here went quickly, but we had a blast! We stayed at a hotel on the beach for a couple nights, which means we had great Brazilian hotel breakfast for a couple mornings. We enjoyed the hotel's rooftop pool and its entrance right onto the beach. We got massages on the beach and spent a day on a dune buggy. Lezlie got to try all of the most important Brazilian foods and meet my church family. I'm so thankful she came! The invitation is still open for anyone else who would like to come visit! I promise that Natal and I will partner together to show you a great time! If I were to say "I'm so glad elections are over!" you would probably say "me too!" If I were to say "I'm so glad the bumper stickers are gone...and the TV ads...and the robocalls..." you would probably say "me too!" If I were to say "I'm so glad the streets are quiet..." you would probably say "huh?" Some of you may remember two years ago my post about the local city elections. I was pretty excited because I got to (had to) vote and it was my first time voting in Brazil. This time around, it was still exciting because we were voting for president, but it lost its luster as soon as the dreaded political jingles started waking me up at inconvenient times and disrupting my quiet life. The biggest way that political candidates advertise their candidacy is by BLASTING their campaign jingles. Here we vote by a candidate's election ID number, so the jingle has to be annoying enough to get stuck in your head and permanently burn the candidate's number into your brain so that you will remember it on election day. They start about two months ahead of the elections and drive around the city all day long, every day of the week. The richer the candidate, the more money he has to rent giant sound cars and, sometimes, trucks the size of a parade float. This year the elections were for governor, state reps, federal reps, federal senators, and the president. The good news is that, since those positions are a bit more prestigious than city councilman, there were fewer candidates and thus fewer jingles. The bad news is there were still jingles. And lots of 'em. Election day was blissful. On election day the sound cars are silenced and the Brazilian people are allowed to go to the polling stations in peace. Due to Brazil's high-tech voting system, soon after polls closed at 5pm we knew who had won. Our state's new governor was announced, as were our reps and senators. Only the presidential election was sent into a runoff because none of the candidates got 50% of the vote. But the presidential runoff was still 3 weeks away, and so I began to dream of my life going back to normal. I live on one of the main thoroughfares through town, so my street had been heavily trafficked by ALL of the campaign cars. That's right. That's the new governor's victory parade, which paraded by my apartment for at least half an hour. The crackling sounds are fireworks. The song is one of her campaign jingles, one of the many that I heard for two straight months. The people dancing in the street are probably drunk. All of this footage was taken from my bedroom window, where I was obviously not sleeping but thankfully lucid enough to grab my camera and document it as probably no one would believe me if I were to just tell the story. At some point the new governor rode by on one of the trucks, but I can't remember if it's on the video. Oh yeah, and the female candidate won the presidential runoff last Sunday. I thought it was pretty cool that I got to witness and participate in Brazilians electing their first woman president! I came here today to see how long it had been since my last post. I was very ashamed to find a thin, blue "September 21" staring right back at me, and even more embarrassed that that post wasn't even legit, since I was sharing someone else's blog with you. I had some pretty great intentions to resume my regular blogging, especially after my 3-year anniversary, but apparently good intentions don't get me very far. Does anyone even read this blog anymore? Coming out of LST season is like crashing after a sugar high. For two packed months I was going going going and then suddenly...I was going, resting, going some more, and then resting a little longer, and then thinking about going, and then definitely resting. The pace of my everyday life has definitely changed, but it has not been unexciting! So, in my reasoning, if a person almost never does something, then one day does that thing, there must be a reason. My aforementioned friend, Brent, has been in Armenia for 16 months. I've followed his blog since he arrived as we have had a lot of the same cross-cultural adjustment experiences. Recently, his mom got to be his first visitor. After 16 months of seeing his mom through a computer screen, he was able to spend a week with her, showing her off to Armenia and showing Armenia off to her. Please take 5 minutes to read the post he wrote about that time. He beautifully, eloquently captures the love, joy, and excitement that I believe all of us who live away from our loved ones feel that first time we are reunited with them away from "home." You won't regret it. And you might cry a little. Read Brent's post by clicking here. Today marks 3 years since the day I arrived in Natal. Coincidentally, I was just tackling an email inbox clean-up and went to the very beginning. I found a lot of emails from that time. It's pretty cool to read how excited I was...how clueless I was...how anxious I was...how bad my Portuguese was. It's amazing that it's been 3 years. I'm reading these emails as though it were a completely different person who wrote them. And in a way, it was. Usually on these anniversaries I blog something sentimental, showing you pictures of the past 12 months or whatever. But today I don't feel like doing that. I think maybe the past two anniversaries I felt like it was momentous, I felt like looking back. Not today. Today feels like a normal day, just like any other. I don't feel sentimental, nor do I feel like I accomplished something huge. Maybe it's because now Natal is home. My life here is my life. It's not a vacation, it's not a trip, it's not an adventure anymore. It's not something I feel like blogging about all the time like that first year, because now I think it's normal to buy eggs one at a time. So how have I celebrated this non-momentous momentous occasion? Last night 5 of my friends from church came over. We watched a movie, ate some pasta, played some Uno, and laughed with our friend as she tried to catch a slipping 2-liter Sprite and inadvertently sprayed it ALL OVER my dining room wall. It has been so, so long since I laughed that hard. I told them about this special day and we all kind of just sat there staring at each other. "Wow," one said, "has it really been three years?" And then we went back to laughing about the wall. Like I said, this is home. This feels normal. And that's exactly how I think it should be. After 9 weeks of constant reader and American traffic, our LST season is finally over. I say finally only because it lasted a long time, not because I'm happy about it. In the 4 years I have participated in LST in Natal, this year we had the most top-notch, cream of the crop readers that I've seen. They were a joy to be around and to host in our building. They were reliable and highly intelligent. They were kind and welcoming to our American workers. They took full advantage of the free English conversation sessions and expressed their gratitude. They came to the parties and had a blast. They showered our American guests with beautiful, authentic Brazilian gifts. They studied the Bible. We hosted 4 different LST teams, 18 people total, from Tennessee, Missouri, Texas, and Oklahoma. They rode dune buggies and played in the ocean. They accumulated hundreds of hours studying the gospel of Luke in English. They made friendships, many of which will last a lifetime. Each of them took a small piece of our hearts with them as they went home, and I'm sure they feel as though they left a piece of theirs with us. Each of them promised they'd be back...and given the track record of LST teams in Natal, I believe them! I often say I have the best job in the world. If it's not the best, (one of our LST workers is an elementary school PE teacher...it's possible her job is the best in the world!) it's up there. Hosting American visitors, connecting them with Brazilians, and watching them develop relationships while reading the Bible is a privilege and blessing I don't take for granted. I've learned the pattern well of an LST project, especially when the workers are newbies. They are usually nervous to get started, and come out of their first session with a giant sigh of relief. They usually express surprise at how easy it was. For about the first two days they share with me about each and every reader, each and every conversation. I eat it up. I love watching them relax into their role as soon as they realize it is to relate rather than "teach." I love hearing about the reader who barely will say "hi" to me at the door, but shares his life as soon as he sits down at the table with his new, English-speaking friend. I get goosebumps as they tell me about the reader who "finally got it," and the one who got emotional as they prayed for the first time together. A few months ago, as we were starting our advertising for LST, I shared with you about how I bargain with God regarding the response to our advertising, as if it somehow depended on me and what we do. Once again, I am humbled not only by the sheer number of people He brought to us, (over 100) but also by the way He worked in each of their lives. As of right now we have two readers who will begin studying the Bible in Portuguese with one of our ministers, and about 30 who will continue studying the Bible in English with me in group classes. I received a beautiful email last week from one of the readers who will begin a Portuguese Bible study, in which he said "I'd like to keep studying the Bible no matter what language." Please remember us in your prayers. We are praying prayers of thanksgiving for the blessings that God gave us through LST, and we are praying prayers of petition for the lives of our new friends. We want to be used as instruments in God's hand, however He may choose to do that. And since no blog post is complete without a picture, here are two shots I took on two different days this past week of my city at night. Enjoy! Hello again. Remember me? I don't. I think I may have forgotten my own name in the last 36 hours. Although I'm a sucker for superlatives, I really do think that yesterday might have been one of the most tiring days I've ever experienced in my short 25 years on this earth! LST team #2 from Westover Hills in Austin finished up their project on Friday and got a day and a half to relax, hang out, and see some sights. They had a great project and a great experience with their readers. We (the other missionaries and I) always feel so blessed when members of our supporting churches come to visit, and getting to serve alongside them is an added bonus. The Westover team just "happened" (thanks, God) to be here on a very important Sunday on which the church was presented with a financial plan for the congregation to start participating in the payment of the missionaries' salaries. That we had three real, live Westover members here to participate in the meeting, witness the response, and be able to go back with a good report to Westover was pretty remarkable. We were pleased! On Sunday, as I dropped LST team #2 off at the airport, I got them checked-in and sent upstairs to board while I stayed downstairs to meet LST team #3 from Springtown. In addition to Westover, Springtown is my other supporting church and so we had a sweet reunion in the arrivals area of the Natal airport. We got all five of them and their bags (plus Paul Reding from one of last year's teams) into the cars, to the apartment at church, upstairs, settled, fed, and downstairs in time for worship. :) To call it a giant whirlwind for all involved would be a huge understatement, but this morning they all seemed to be well rested and ready to go, which I am thankful for. They already began reading sessions this evening and are very, very excited. Once again, it is such an ENORMOUS blessing to be able to serve alongside visitors from my supporting congregations. I love that they not only get to see the work they have invested in, but they get to participate and make eternal impacts, as well! I can't stress enough how encouraged I am by these visits. So that's what's going on now...my parents made it back safely to the United States and I think I miss them, but I haven't had much time to think about it. (Just kidding, Mom and Dad. I cried all alone in the car like I promised I wouldn't as I left the airport from dropping you off.) This is without a doubt the busiest time of year for me...but I wouldn't trade it for anything in the world! Please be praying for this team and for the readers with whom they are studying. Many of these readers are transitioning from the Gospel of Luke to the book of Acts, and our prayer is that as they begin to study about the teachings of Jesus being played out in the church, that they will continue to examine their own lives and how they can fit into that story. One of our readers found my blog when he started reading with the first LST team. He told me, and I kind of forgot, until he walked in last week and said "You really need to update your blog, Cris." So this one's for you, Leonardo! So...there you have it. We've stayed busy. The new (second) LST team arrived on Sunday from Westover Hills in Austin and is already in the full swing of things, staying extra busy with an extremely full reading schedule. We're having lots of fun, and, of course, looking forward to Brazil's third game in the world cup tomorrow morning! Just wanted to give you a quick update on how things are going. The first LST team arrived without any glitches on Monday afternoon (other than the glitch of me being late to the airport and they were standing on the sidewalk waiting for me when I walked up...lame, Cris.) and hit the ground running. They are a very enthusiastic bunch and are already doing a great job of jumping into the culture, church, and reading sessions. Last night they had their information meeting, which is The Event that we had been so heavily advertising for. In years past there have usually been about 30-40 people show up to the information meeting and we add several readers after the fact. Yesterday it started raining around lunch time and I started getting worried....rain keeps a lot of people home. It's hard to get around on public transportation in the rain, and so I started preparing myself and the team that we might get a lower turnout than we had hoped for. According to the sign-in sheet at the information meeting, we had SIXTY people show up! What does that mean? It means that sixty people have signed up for LST reading sessions and will begin their studies this week or next. That means that of the 60, 54 were brand new readers who have never participated in LST before, and the other 6 were very special former readers who have come back to continue. That means that sixty people were interested enough in the program to brave the rain and come out anyway...and it means that several others who had confirmed they would come weren't able to, and called today to schedule reading sessions anyway. The group is in high spirits and enjoyed their first day of reading. Please be praying for all of us...the team as they get into the groove of the very, very intense reading schedule and me as I try to keep my sanity playing secretary for 6 workers and 70ish readers. :) Don't be mistaken, however...I am having an absolute blast. I have the best job in the world and am overwhelmed by the blessings God is already showering on us. For those of you who have never participated in any kind of English-as-a-second-language experience, I highly recommend that you figure out a way to do it at least once. LST provides an excellent opportunity for me on a daily basis. Not only is it rewarding to help others learn and master another language, it's also really fun. And you're always guaranteed a good laugh, especially when they decide to try out the latest slang or idiomatic expressions they've been learning. I got this email today from a guy who saw our advertisement and wanted to know more about LST. I replied to his email, telling him about the information meeting next Tuesday. Usually they write to me in Portuguese, I respond in English, and then if they reply again it's usually in English. That's when it gets funny. This email made my day! I'm sure I'll be there and save a seat for me, alright? I'm looking foward for it! I'm definetely in. This happens every year. In March-ish I get so excited, because this is going to be the best LST year yet. We are gonna have the best turnout we've ever had! And then April-ish I start thinking "Ohmygooness. What if no one calls? No, they're going to call. God has gone before us and is preparing the people who are going to come this year." And then comes May. Oh, May. May is when we can start doing T-minus countdowns to The Start Date. It's when we do our advertising campaign, and this year it was a MEGA advertising campaign. And May is when I start bargaining with God. "Ok, God. Please don't make all of our efforts be in vain. Please send us people. If you don't send us new people to study the Bible with, I'll just call some old readers. Old readers who never showed interest in learning more about the Bible but at least they showed up. I will. If you don't send us readers that's what I'll do." And then I start thinking more clearly, like this morning at the gym while I was on the treadmill, (it's where I do some of my best praying) and I pray "God, thank you for giving me and the LST workers the privilege to serve you by helping others practice their English and study the Bible at the same time. Please send us people with open hearts, and help us to show your love to them. We know that you know so much more than we do, and you are working in the hearts of each and every person we will meet with. That's enough. We are here to serve you." And whaddya know? The phone started ringing. And the phone hasn't stopped ringing. It's rung so many times that I have my little speech down pat. Please keep praying. I know you have been, and I know you will continue to. I know that many of you who keep up with this blog are great prayer warriors for me, my ministry in Natal, and the church here. I decided to take advantage of that and give you something specific to pray for! We are entering into LST season here in Natal. The first team arrives on May 24th and has six members, two of whom just so happen to be my parents. Their project will last three weeks, and after their project ends, we will receive three more teams between June and July. My prayer request is that you will pray specifically for readers to respond to our advertising and come study in the LST program with these teams. We are beginning our advertising this week, and are hoping to distribute 1000 fliers between now and the end of May. With six workers on the first team, and a limit of 15 readers per worker, we have the capacity to accommodate a whopping NINETY readers in the first project alone. Please pray that God has prepared/is preparing/will prepare these people to take interest in free English conversation classes and come find out what LST is about. This means our first team could potentially be studying the Bible with 90 people a month from now....can you imagine? So please pray. This is a very active and essential way for you to be personally involved in our work. God has shown me very, very clearly over the last 2.5 years that He LISTENS to your prayers and has no reservations about showering blessings upon our ministry. I have faith that this year will be no different! Yesterday was a national holiday, so rather than do what we usually do on middle-of-the-week holidays (sleep in, stay home, etc) we planned a church-wide picnic. Enjoy a glimpse into our midweek escape to the beach! ...at about 10 in the morning. Does anyone want to play "where's the American"? ...and even some father-son paddle ball! ...to rest up for great fellowship and conversation. Then we ate. We do that well. We stayed until 4 in the afternoon, just as rain clouds rolled in. It was a wonderful day, and we are already looking forward to the next peeky-neeky! I'm reluctant to write this post because it's so trendy to put recipes on blogs, and I am no Pioneer Woman. However, I feel like I am justified in doing this because I don't cook. Well, I do cook, but I can't cook. Well, obviously I can cook, but I am most definitely not gifted at it. Nor do I particularly enjoy it, although that is changing. And so here is my justification for this blog: this recipe is one of the easiest, if not the easiest, things I make, and it's delicious and a huge hit. People here always, always ask me to make this dessert for showers or events at church. Just this week I hosted our team meeting at my house on Wednesday morning, and when I woke up an hour before everyone arrived, I realized I only had water to serve. I whipped this baby up in exactly 6 minutes and popped it in the oven. So, when I realized I had timed myself to see just how fast it was, I decided it was blog-worthy. I owe a big thanks to my Aunt Nell for sharing this recipe. It's definitely a hit in Natal! Pour one big can sliced peaches over mix. Sprinkle with cinnamon. Bake at 425 degrees for 25-30 minutes, or until brown. You can also cut the recipe in half, use a 16 oz can of peaches, and put it in a 9x9 pan. My mom suggests cutting the sugar back to 1/2 cup because the peach syrup makes it too sweet, but I think that's a really sad idea. If you're averse to sweet things, though, that might be a good suggestion for you. I never do that, but sometimes I keep out some of the syrup. It's really hard to mess this up, and that might be the #1 reason I make it all the time. I bet this will be the only time you will ever see a recipe on this blog, so I hope you enjoy it! Me: Comunidade de Cristo, may I help you? Caller: Yeah, I'm calling about ______ that I heard about from _______. Where are you located? Me: On the corner of X Avenue and Y Street, in between B Boulevard and C Avenue. Caller: Ok, and what's the name of your church? Caller: What do you mean? Me: Well, you see, we've been remodeling our church building and...well...the name hasn't gone up yet. Caller: So...how do I know where it is? Me: Well, it's next door to the aluminum store. It's a big white building with a green front. Me: But don't come in through the front, come in through the side. The front is the auditorium, and during the week there is no one at that door. Come to the side gate. Caller: Ok, is there a sign over the side gate? Caller: Ok, well hopefully I'll find it anyway. For months we've been called "The Church Without a Name". For weeks our members have been asking (read: bugging) us about how weird it is that our church doesn't have a name--and they don't even spend the day answering phone calls like I do! And we reply like this: "Well, we'd be happy to accept your donation for R$X to cover the cost of the letters. We'll have them up by Tuesday." You see, these things cost money, people! Of course our church has a name. And anyone who knows the 10-year history of this church in this neighborhood knows we have a name, and that name is "Comunidade de Cristo". But what about those who don't know our history? What about the newcomers, the parents of a teenage girl who came to pick up their daughter who was visiting a Bible study on a Saturday and started getting worried when they could not find this mysterious church, not to mention their daughter who was supposed to be inside? Have I dramatized it enough for you??????????????? You may call this BEFORE. I call this YIKES. Special thanks to a handful of generous contributors who helped make the naming process possible. The money came from a few individual church members, as well as brothers and sisters from other congregations in Brazil who stayed in our building while on vacation and left behind some cash to help us out. Hooray! It's been a month since my last post, and that depresses me. 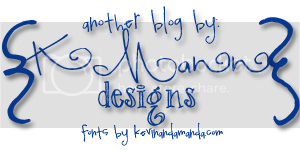 Sometimes I go a month without posting because there's not much to blog about, but that's not the case this time around. There's been lots going on, including my getting my very first foreign stamp in my Brazilian passport on a quick little journey to Paraguay a couple of weeks ago. As well as some freaky little Paraguayan bug that bit me on my toe and prevented me from walking correctly for about a week. And the completion of an exciting new phase in the church building's remodeling process. 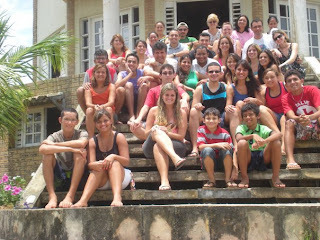 I just realized that I never blogged about the Carnaval retreat...so here we go. Imagine a world where your yearly calendar functions around Mardi Gras. Imagine a world where Mardi Gras celebrations are not just confined to one major city, but is evenly represented in all major cities throughout the country. And, best of all, imagine a world where, whether or not you are the Mardi Gras celebrating type, you still get 5 days off work to do whatever you want. This year's retreat theme was "Renewed Hearts" and its theme passage was the parable of the sower from Matthew 13. We dissected the parable each day and focused on each element of the story: the sower, the seed, and the different kinds of soil. I really enjoyed such an in-depth study of the same passage over the course of the retreat. Of course, in between the worship, studying, and prayer times, we also had a lot of play time! The retreat was held at the house in Genipabu where we often hold our church events. We had daily access to a pool, a soccer field, and a sand volleyball court. Each night we also had special theme nights, including Gala night (dress in nice clothes), and costume night with a talent show. The Brazilians love to go all out and make these events really special, and it showed. The retreat planning committee did an excellent job, and everyone had a great time! The best costume of the night BY FAR: Little Osmildo posing next to Big Osmildo. I laughed so hard at this. Osmildo teaching the wrap-up lesson on the parable of the sower. I look pretty rough in this picture, but I guess it's an accurate reflection of Retreat Cris. Anyway, the real subject of the photo is my precious kind-of nephew, Filipe, showing off his I heart NY onesie I gave him for Christmas. :) He's happy, don't let the "kill me now" look fool you. ...gets an egg white pie to the face. Poor Isabel. Many of you have probably never heard the full, extended-version story of how I ended up in Natal. It all started back in 2005, when I was in my sophomore year of college at ACU and decided that I was so tired of school that I would take time off after graduating to do something other than graduate school. At the time I flippantly decided that I would take a year or two to do short-term mission work before returning to get a Master's degree. Today one of the church members asked me "Cris, how did you become a missionary?" I told him the story, starting in 2005, (actually, starting long before when I said I would never be a missionary) and how it all led to me being in Natal today. I remember that day in my dorm room, when I had given my flippant idea a little more thought, and was convicted by this passage in Matthew. I decided to make myself a Post-It reminder to see if I would follow through with the commitment I made to myself. Well, 5 years later, and I believe that moment was a bit more than school fatigue and much more divine appointment. I am thankful that God put me here, and I am thankful that little "coincidences" like this remind me of that fact. For those of you who grew up going to church, you might remember that Sunday every few years when The Missionary came to give his report about how the work was going in Brazil, or Africa, or Mexico, you can fill in the blank. Along with this report usually came a "we are all missionaries" charge, one in which you were encouraged to be your own missionary at school, or at work, or on the basketball court, etc, that it wasn't necessary to move overseas to be a missionary. That is true, but so many times people are left with the question "how?" Today I had the opportunity to see my friends at Comunidade de Cristo be missionaries for the day. Geraldo is a name I've mentioned several times on this blog. He was baptized in September of 2008 and has since brought his wife and four kids to church. His family has been a great encouragement to all of us because they are excited for God. Just talking to Geraldo makes you excited to do something to share the love of Christ with others. So it was no surprise that soon after he was baptized, Geraldo had tons of ideas for how we could share the love of Christ with his neighborhood. Today we had an "evangelistic campaign" in his neighborhood, where we split up into groups and went door-knocking, inviting anyone who would answer the door to a Bible study at Geraldo's house later in the evening. I was so proud of the young people of our congregation. Door-knocking, especially with an invitation to learn about the Bible, can be a risky feat. You run the risk of getting the door slammed in your face, people assuming you're asking for money, or people just being mean. (And, in my case, you run the risk of running into dogs. Lots and lots of BIG, scary, barking dogs.) However, they all arrived at Geraldo's house ready to get their knock on, and after everyone finished I even heard stories of people fighting over who would get to talk at the next house! It was an exciting day for all of us, and we were thrilled when 16 people that we invited showed up to the study! Praise God for those 16, and we pray that God will continue to work on their hearts as well as the hearts of those who answered their doors, listened to the invitation, but for whatever reason decided not to accept it. We know that God knows each of their names, each of their hearts, and maybe allowed a small seed to be planted today. Ok, enough for narratives. Here's proof! The sign hanging outside Geraldo's house. It says "Evangelistic Campaign. Theme: Come to Me" with an arrow pointing down that says "Here". The "Come to Me" theme was based off of Matthew 11:28, a pretty good theme verse for an outreach campaign, if you ask me! We had an uninvited guest crash our party. This lady wanted to share that today she was down in the dumps when Fernanda and Geraldo knocked on her door and offered to pray with her. She had her bags packed to move out and leave her husband, because he told her he didn't want her anymore. She cried and cried and cried, but said that after hearing the message from God's Word tonight that she's going to go home, unpack her bags, and show her husband that she's not giving up on 30 years of marriage. Who lives and loves in Natal, Brazil? My past times include tricking people into thinking I'm a real Brazilian, finding new Tex-Mex restaurants around Natal to evaluate, and helping people fall in love with a Jesus they thought they already knew.